by Andy Higgs in England, Europe, Features, Places, We likey. In our mission to inspire and inform Grown-up Travellers we begin a series of articles containing ideas for alternative things to do and see in well-known destinations. Quite – it seemed like the ideal place to start. London reigns supreme as the most popular city destination in Europe for tourist arrivals according to Euromonitor International’s annual survey. With both the Olympics and the Queen’s Diamond Jubilee this year it seems unlikely to slip in the rankings either. Yet the sheer size of the place – coupled with its history – means that it has an abundance of attractions that the majority of tourists (and plenty of Londoners) miss out on. You’re going to do something about that? 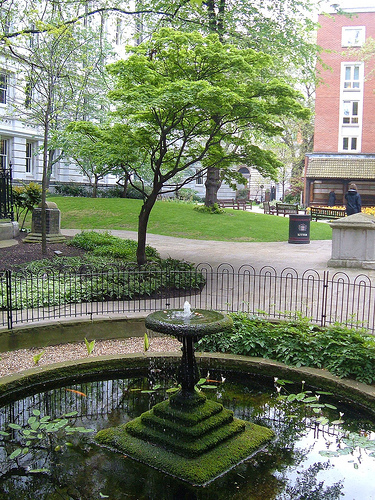 Easily missed, this small public park in the concrete jungle of the City of London got its name from the General Post Office that once stood on its edge. It is located between King Edward Street, Little Britain and Angel Street (close to St Bartholomew’s Hospital). The series of memorials that cover one side of the park were set up by George Watts, a Victorian painter and philanthropist to mark Queen Victoria’s Golden Jubilee year in 1900. Each memorial plaque commemorates an act of fatal heroism by a Londoner. Most of the tragic tales describe people who died trying to save strangers and most involve children. Common causes of death are fire, drowning or train accidents. Watts himself put up 13 tablets and his wife Mary added 34 after he died. In June, 2009, the first new plaque for over seventy years was unveiled in the park. 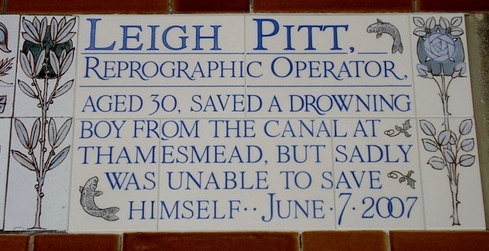 The plaque pays tribute to Leigh Pitt who died after rescuing a child who fell into a canal in Thamesmead while playing outside his home. After hearing the child’s screams Mr Pitt, a printworker, ran from his flat and dived in. He held the boy above water while other residents dragged him out with a hose. But Mr Pitt disappeared underwater and was prevented from saving himself by the high canal walls. 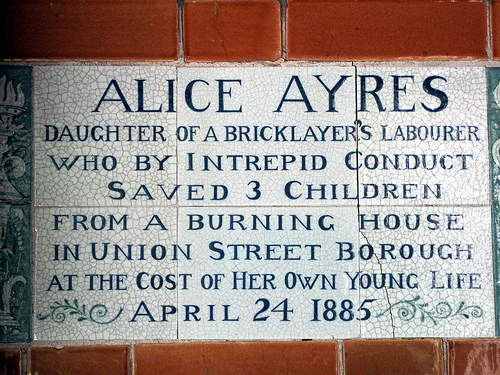 For an unusual and moving experience make sure you pay a visit to Postman’s Park. Image obtained from Flickr.com under Creative Commons (c) O.F.E. Now this is not for the squeamish, but is perhaps best be described as gruesomely compelling. 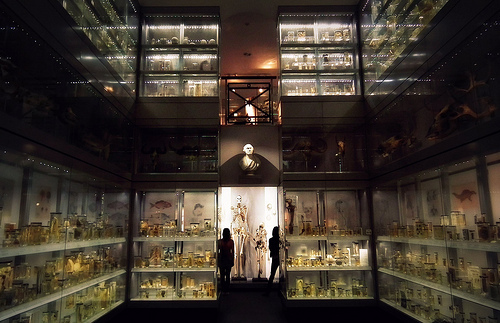 The Hunterian Museum at the Royal College of Surgeons is certainly far from the main tourist trail, probably with good reason…The Museum is based on the life and work of the eminent 18th century surgeon John Hunter. Having started his career as an assistant in an anatomy school he learned fast and was particularly skilled in dissecting the dead. He was also an enthusiastic collector and opened a museum in his house in 1783. After his death (from a fit he suffered during an argument – he was known for his bad temper) his collection was bought by the government and became part of the Museum of the Royal College of Surgeons in 1799. Today it is a modern museum containing skeletons, skulls, teeth, horrendous old surgical and dental instruments. Essentially on one level it is full of ‘strange and nasty-looking things’ in glass specimen jars with a horror movie atmosphere. On another, once you get past the shock of seeing dissected body parts (human and animal) it is a fascinating insight into early anatomical study and teaching. ‘Highlights’ include the skeleton of an Irish giant stolen by Hunter against the wishes of the man in question who knew he wanted his remains and the chance to try being a surgeon using ‘hands-on’ technology. Horse-racing is one thing – indeed if you get the chance to visit Ascot for Ladies’ Day week you will have an experience like no other – but dog racing is something entirely different. It is also something most visitors to the UK have probably never heard of (or thought of, for that matter). Greyhound racing attracts a large cross-section of people from the young, trendy lot looking for a different night out to the racing purists hoping to win big. 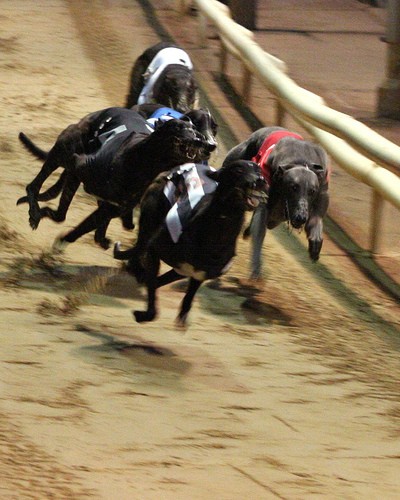 Wimbledon Greyhound Stadium is the largest and most successful dog racing track in the country and a very sleek operation these days. Check the website for details and head to South London on a Friday or Saturday night to watch races that start 15 minutes from the air conditioned grandstand, one of the Executive Suites or the Mick the Miller stand. The British pub. It’s not much of a secret that the “boozer” joins Marmite, proper salt ‘n’ vinegar crisps and extra mature cheddar in constituting the short but important list of things I miss most after having moved to Norway. But while the other three items remain as they were 13 years ago there have been plenty of changes on the UK pub scene. Thousands of locals have closed their doors for good, but new bars and gastropubs have also emerged. Rather than modelling itself on the ‘continental style’ bar the Boogaloo has succeeded in maintaining the most important factor – the pub atmosphere while making a few changes all its own. 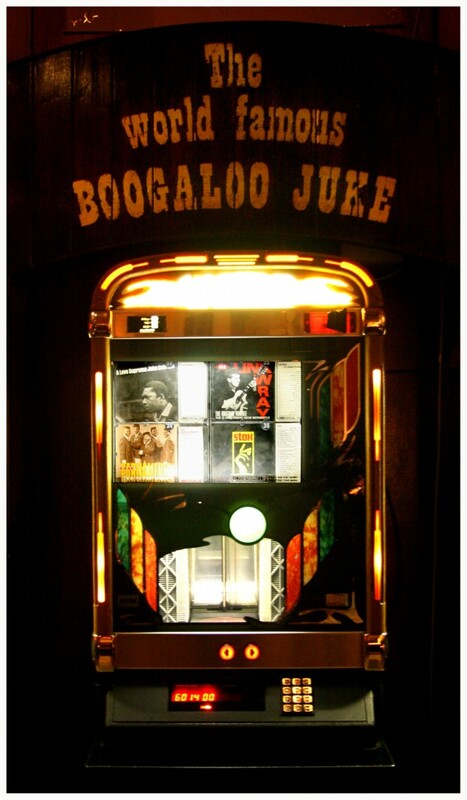 And instead of piped music, Sky Sports or a DJ, the Boogaloo has a jukebox. And what a jukebox. The pub claims it has won awards all over the world (who am I to doubt it?) by operating a strict policy of only including ‘great’ albums that have stood the test of time (i.e. are no less than ten years old) this is a place for music fans to help create the soundtrack of their evening. And musicians -just check out the celebrity choice list, nominated by a different musical celeb each month. Shane McGowan, Bobby Gillespie, Badly Drawn Boy, Iggy Pop, David Soul, Kate Moss, Ronnie Wood, Sinead O’Connor and the Libertines have all selected playlists in the past. The evenings are given over to live bands and DJs with different theme nights featuring jazz, rockabilly, country and folk, and punk. Oh and you really should try their ultra-difficult music quiz, ‘Who killed Bambi?’. Thought you knew the London pub? Come to the Boogaloo and think again. 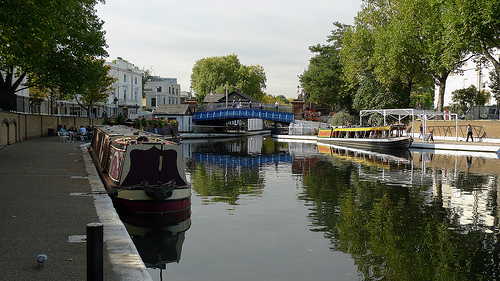 Italy it ain’t, but Little Venice is a beautiful and relatively quiet area measuring about a square mile within London’s Maida Vale district. It is also one of the more exclusive (and eye-wateringly expensive) residential districts in central London. In days of old when the Grand Union Canal was opened (1820, to be precise) the area was more typical of sleazier parts of the Big Smoke at the time – home to artists, writers and prostitutes. It has changed somewhat, to say the least. Walk the towpaths of the peaceful canals and it feels a world away from central London. You could have a coffee at Café Laville overlooking the water before walking to Regents Park, up to Primrose Hill for the superb view over London and then along Regent’s Canal to Camden Market. London Zoo is also within reach. From April to the beginning of November a cruise on the canal is another option and a great way to travel. There are several companies that offer regularly scheduled cruises but Jason’s Canal Boat Trips is our favourite. They’ll take you along Regent’s Canal through Regent’s Park to the Camden Lock markets and provide a historical commentary. It’s also worth making the short walk to Paddington Basin to see a while new Docklands-style area under development. The contrast between the hundreds of luxury apartments around the tranquil waterfront and the noise and grime of the Edgeware Road right round the corner is quintessentially London, but no less striking for that. This is Brilliant! Love It! Only done the canal one, will do the others ( when in the right mood! )….I recommend Church Street Cemetry aswell in Stoke Newington ( Number 73 bus, voted the best London bus ride ) . THE most beautiful cemetry ever, overgrown, lush rambling pathways with hickledy piccaldy gravestones and tombs…wonderful ……. I used to visit Wimbledon Greyhound Stadium on Saturday nights when I was a kid. They used to have ‘banger’ racing. Not sure if they still do. Great memories. All right I must admit you did pick things I hadn’t heard of in London, perhaps I’ll give it another shot.